Ken Clarke sits today on the backbenches. He is seventy six years old and since the death of Gerald Kaufman last month is the Father of the House, having served as MP for Rushcliffe since entering the House of Commons as one of Edward Heath’s new intake of fresh young Tories in June 1970. He can look back on almost a half century in parliament, one of only four men alive to have held two of the four great offices of state: he has been Home Secretary and Chancellor of the Exchequer. The other three men are Douglas Hurd, Gordon Brown and John Major. But unlike the last two, Clarke was never Prime Minister. We all must wonder what might have been, as he surely does. However, in many ways it’s hard to see how this could have happened. In other ways, it seems bizarre that it didn’t. Look at a list of recent Conservative leaders.The names that are there (Major, Hague, Duncan Smith, Howard) are almost as surprising as those who are not (Heseltine, Portillo, Clarke himself). Although he is defensive about it in this readable autobiography, Clarke did not excel as either Secretary of State of Health or Education during the later Thatcher, early Major years. But neither of these were ever strong areas for the 1979-90 Tory government, or indeed any Tory government. Clarke was never truly a Thatcherite. But when Clarke became Home Secretary after the 1992 April election and then Chancellor following Norman Lamont’s unceremonious departure in 1993, speculation mounted that the troubled Prime Minister John Major might have unwittingly appointed his own future successor to the Number Two job as Sir Anthony Eden and Harold Wilson (and indeed Thatcher) had before him. Although inclined to gaffes before and since, Ken (previously “Kenneth”) Clarke, known for his Hush Puppies, cigars and occasional pints of lager was a surprisingly competent Chancellor overseeing the UK’s recovery from the early Nineties recession. 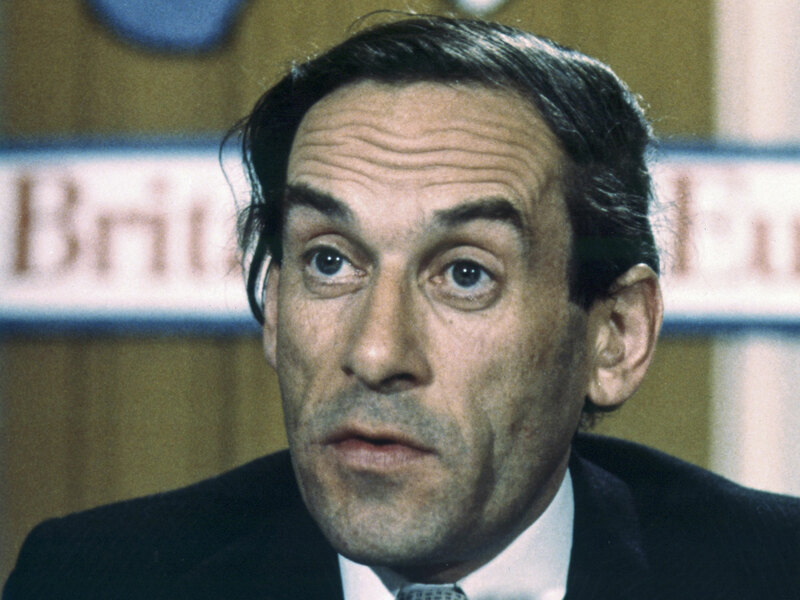 “Go home,” he once bellowed at an under-prepared Robert Maclennan of the SDP in the Commons, “lie down in a dark room and keep taking the pills.” He was popular, well known and a big hitter. But like another clubbable former Tory Chancellor Reggie Maudling, he never got the top job. The reason was simple: Europe. Clarke was and is a keen supporter of the EU. 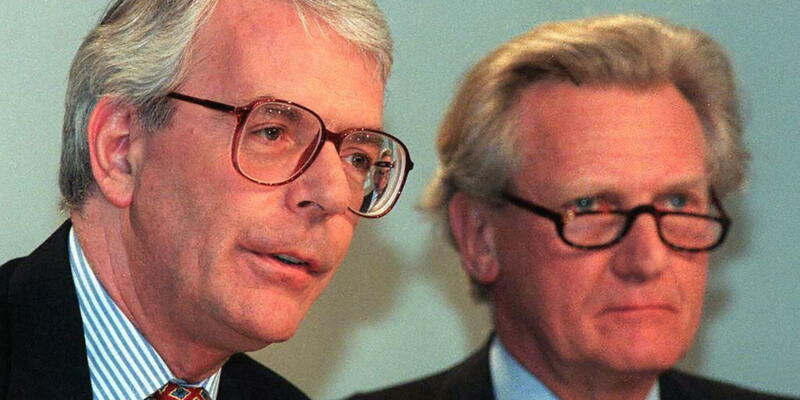 With so many of John Major’s problems caused by his signing of the Maastricht Treaty, the increasingly Eurosceptic Tories were never likely to replace Major with him. In 1997, following the colossal May 1st defeat, Clarke’s path to leadership should have been clear. 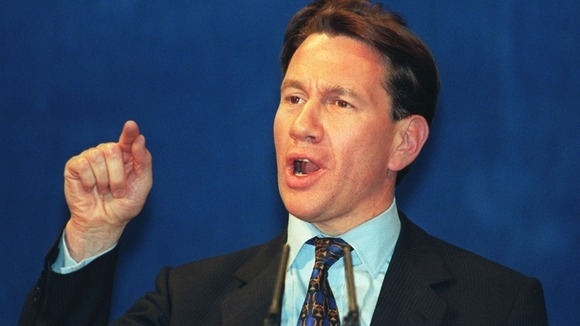 His main rivals Michaels Portillo and Heseltine were out of the race, Portillo having famously lost his Enfield seat, while Tarzan apparently had heart issues. Clarke was far more popular and well known than his main rival, the thirty six year old, much less experienced former Welsh secretary William Hague. Polls indicated that if party members had had a vote, Clarke would have won easily. But the increasingly eccentric parliamentary party was happy to take the increasingly elderly Lady Thatcher’s advice. “Hague! Have you got that? H-A-G-U-E,” the Baroness spelt out to reporters, having just privately been told of the correct spelling herself. The result? Another massive defeat in 2001. This time, party members too followed the increasingly frail Thatcher’s endorsement again choosing Iain Duncan Smith over Clarke. It was clearly an absurd decision from the outset. IDS was ditched in favour of an unelected Micheal Howard in 2003. Following the third consecutive Tory General Election defeat in 2005, Clarke, now ageing himself and harmed by his business dealings with Big Tobacco lost his third leadership bid to amongst others, a youthful David Cameron. A rare survivor of the Major era, Clarke served as Justice Secretary under the Coalition. In recent years, he has become increasingly gaffe prone. His wife Gillian died in 2015. 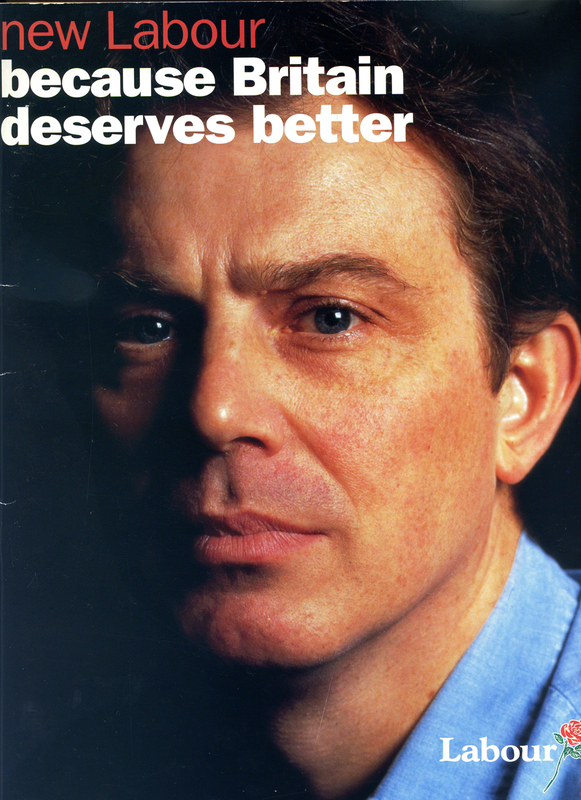 Although it is unlikely Ken Clarke could have overturned the massive Labour majorities won by Blair in 1997 and 2001, had he become leader instead of the pro-war Duncan Smith, it seems likely a Clarke led Tory Party would have opposed the Iraq War, voted with Labour rebels to prevent UK involvement and forced Blair’s resignation. It was not to be. IDS’s Tories misjudged the situation and slavishly backed the war. As Clarke himself reflects in this readable but unsurprising autobiography, his long parliamentary career has almost exactly coincided with the period of British membership of what used to be called the Common Market. Ken Clarke is undoubtedly one of the better more decent breed of Tories, a far better man than the Boris Johnsons, Michael Goves, Stewart Jacksons, Jeremy Hunts and George Osbornes of this world. Politically incorrect though he is, one suspects he is liked far more by many of those outside his own party than he is by many of those within it. As a party member, I voted for Jeremy Corbyn a year ago. He was the best of the candidates available at the time. But a year on, one thing is clear: it’s not working out. The party has been in perpetual crisis ever since. It has been behind in the polls for his entire first year as leader, the first time this has happened in my lifetime I think and I am in my late thirties. 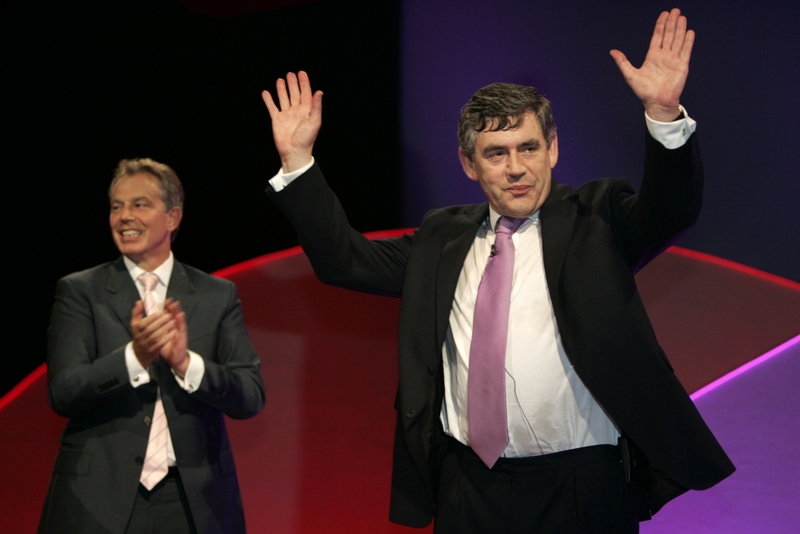 Even under Michael Foot, Gordon Brown and Ed Miliband, Labour were ahead sometimes. Now they never are. It cannot go on like this. There has to be a change. Owen Smith isn’t great but if he does well, someone else will move into the contest to lead the party. I am not expecting this to happen. I am expecting Jeremy Corbyn to win. But what reasons do people give for supporting him? He is moral and decent: I believe this. I don’t trust Virgin Trains in the matter this week for a moment. But Clement Attlee was moral and decent and led us to victory where we achieved great things. Michael Foot was moral and decent and led us to electoral disaster, leaving Margaret Thatcher a huge majority with which to do as she wished. Being moral and decent is not enough in itself. He has already won a huge mandate from his party: True, but that was a year ago. A lot has changed since then. This is a new contest. Saying “he won the leadership before” is not an argument for backing him again. The media are hostile to him: The press certainly are. But they always are to Labour. That isn’t really the problem. Many MPs never supported him from the outset: This is true and certainly isn’t too their credit. I will certainly support Corbyn if he wins. I hope MPs do the same. Pro-Corbyn members should stop going on about purging their enemies within the party too. Enough is enough. Labour MPs should represent the majority of their members’ views: No. This has never been the case. MPs should vote for whoever they wish. Winning isn’t everything: No, but it’s essential if we are to accomplish anything. The Tories have their smallest majority since 1945. Victory is achievable but some of us act as if we don’t want to win, as if to win is the same as becoming a Tory. Had we followed this approach in 1945, we would now have no NHS or welfare state. If we had done the same in 1964, homosexuality and abortion would never have been legalised, the death penalty abolished or comprehensive education introduced. And had we not won in 1997, there would now be no minimum wage, Good Friday Agreement or devolution. We owe it to our people to win power. And we cannot do so, under Jeremy Corbyn. Who did they think they were kidding? A new film version of the classic BBC TV comedy series about the Walmington-on-Sea Home Guard was never likely to win over fans of the much-loved sitcom. But in fairness, while certainly not great, this isn’t all bad. The casting is mostly successful. Toby Jones achieves the near impossible feat of filling Arthur Lowe’s shoes as the perfectly pompous Captain Mainwaring. ‘Line of Duty’ star Daniel Mays is also excellent as the spiv Private Walker and Michael Gambon (despite a needlessly crude scene in which he pisses on another character) does an admirable job of evoking the spirit of the placid Private Godfrey (originally played by Arnold Ridley). There is also an admirable attempt to expand the female cast – perhaps a slight failing of the original show – including Alan Partridge’s Felicity Montagu as the formidable and previously unseen Elizabeth Mainwaring. But there also is quite a lot that is bad. Although mostly competent, some of the cast such as Tom Courtenay as Lance Corporal Jones (a genuinely old actor playing the character Clive Dunn played in middle-age) and Bill Nighy’s louche Sergeant Wilson generally reminding you of the old cast just enough to annoy you rather than truly replacing them. Blake Harrison’s portrayal of young Pike, meanwhile, is completely misjudged, ‘The Inbetweeners’ star playing him more as a debonair lech than as the juvenile “stupid boy” Ian Lavender perfected, despite both actors playing the role at a similar age. Like the flawed 1971 film of the series, the movie also errs in making the platoon face a very specific foe in this case in the form of spy Catherine Zeta Jones. In the TV series, the real but unseen threat posed by the Nazis overseas was usually deemed sufficient although in fairness this is perhaps an inevitable consequence of expanding ‘Dad’s Army’ into a full-length film. Unanswered questions abound though. Why does the film start in 1944 when in reality that was the year the Home Guard ceased activity? Why is one group of characters shown in full fox-hunting regalia, when hunting never occurred during the Second World War? Why does the plot hinge on a civilian telephone call to occupied Paris, an impossibility at the time? Why does the usually uneducated Jones suddenly start making a fairly deep philosophical point on one occasion? Why is Wilson suddenly revealed as an ex-university don? This isn’t a disaster and is certainly respectful to the memory of ‘Dad’s Army’. But forty years on from the end of the series, one wonders if even despite its surprisingly strong box office (mostly, like the recent Brexit result, attributable to older audiences) if this will be our final visit to Walmington-on-Sea. Alcohol has long been the fuel which has powered the engine of our nation’s political life. Sometimes the results seemed to be beneficial. Margaret Thatcher generally found it difficult to relax and enjoyed a whisky or two most evenings during her long stint in Number 10. Winston Churchill also seems to have been improved incredibly by the astonishing amounts of alcohol he drank during his premiership. One has to wonder if we would have won the war, as BBC Political Correspondent Ben Wright does here, had he not drank. Sometimes the results were less positive. During the 1970s, both Harold Wilson and Richard Nixon both saw their powers dim partly as a result of excessive alcohol consumption.Much earlier, William Pitt the Younger went through the same thing. Occasionally, the results have been funny. Wilson’s famously erratic Foreign Secretary George Brown experienced numerous embarrassments as the result of his frequently “tired and emotional” state while Tory MP Alan Clark was famously exposed by Labour’s Clare Short as being drunk in the House on one occasion, or at least did so as far as Commons protocol allowed. Often, of course, as in the case of former Liberal Democrat leader Charles Kennedy, the results have been tragic. Ben Wright’s book offers a witty and well informed insight into one of Britain’s longest standing political traditions. Book review: Order, Order! The Rise and Fall of Political Drinking by Ben Wright. This is the second volume of Charles Moore’s three volume official biography of the first British woman Prime Minister and deals with the middle years of her premiership from the aftermath of her 1982 victory in the Falklands to her third and last election win in June 1987. These were the golden years for the Iron Lady: perhaps this period should be called “the Iron Age”? Council houses are sold, utilities are privatised and opposition from Michael Foot’s and Neil Kinnock’s Labour, the SDP and the unions is aall crushed underfoot. Thatcher also exploits her ties to US President Reagan to mostly good effect and survives the 1984 Brighton bomb. Moore is a former Daily Telegraph editor but despite this conservative bias is not always unaware of the lady’s faults. She never knew how to deal with her wayward son Mark, was lucky to survive the Westland Affair, was stubbornly blind to the numerous flaws of the Poll Tax and was privately very difficult during the 1987 election campaign. Moore is weaker on popular culture, however, partly because he is very anti-BBC. He has given the book a title from a song by Wham! which virtually no one remembers and attacks Sue Townsend for putting anti-Thatcherite sentiments into Adrian Mole’s adolescent poetry (“Do you weep Mrs Thatcher, do you weep?”) while condemning Rik from TV’s The Young Ones for attacking the “Thatcherite junta”. Townsend and the Young Ones’ creators were undeniably left wing but Moore misses the point. The satirical targets here were not Thatcher but the immature Mole and “people’s poet”/sociology student Rik themselves. At another point, he accuses David Frost (by that point, a fairly gentle interviewer and certainly no lefty) of “having a go at her” rather than asking perfectly reasonable questions during the 1987 election campaign. At no point does Moore offer any examination of the often dubious but consistent support given to her by the slavishly pro-Thatcherite tabloid press. Moore also does not really understand why Thatcher made so many people so very angry. For this was a time when levels of homelessness and crime soared, unemployment reached its post-war peak (3.6 million) and the NHS was savagely undermined. There is little mention of these things in the book. Today, I will give this cast-iron guarantee: If I become PM a Conservative government will hold a referendum on any EU treaty that emerges from these negotiations. No treaty should be ratified without consulting the British people in a referendum. The treaty was ratified. Cameron became Prime Minister in 2010. There has never been a referendum on the Lisbon Treaty. Voters should perhaps treat any future election promises from Mr Cameron with caution. Many Tories have never forgiven Cameron for failing to win the 2010 election. In 2010, Cameron made a “no ifs, no buts” election pledge to bring net migration – the difference between those arriving and those leaving the UK – to below 100,000. The figure for the year up to September 2014 was 298,000 – some 54,000 higher than when he took over. Cameron was warned by figures as diverse as Lord Ashdown and even the Palace, not to appoint Coulson, as his communications director. Coulson had already been sacked as editor of the news of the world under suspicion of phone hijacking. Coulson inevitably resigned from Downing Street too and was ultimately imprisoned. Cameron has also been close to former Sun editor Rebekah Brooks who he once leant a horse and initially defended his friend Jeremy Clarkson during his recent controversy. By any measure, Cameron’s judgement on these matters has been awful. Cameron’s leadership has also witnessed numerous u-turns on everything from the selling off of national parks to a proposed “pasty tax”. Cameron claimed Britain had been a “proud ally” of the US in 1940. The US did not enter the war until December 1941. Cameron’s desperate attempts to avoid having a head to head TV debate with Ed Miliband made Cameron a national laughing stock earlier this year. Cameron inadvertently kicked off a possible post-election leadership contest when instead of merely stating that winning the 2015 election was his immediate priority at the moment, he inadvertently answered an innocent question by completely ruling out a third term completely. Cameron then compounded the error by naming George Osborne, Boris Johnson and Theresa May as possible successors. This change of leadership may happen sooner than he thinks. Since the Second World War, two third party leaders have been in a position to determine the balance of power in a Hung Parliament. Five years ago, Liberal Democrat leader, Nick Clegg secured his party a position in government but ultimately failed to achieve a proper cabinet position for himself or any of his party’s aims in office. Liberal leader Jeremy Throrpe in February and March 1974 antagonised his Liberal colleagues (notably Chief Whip David Steel) by negotiating with Tory Prime Minister Ted Heath without consulting them first. Thorpe ultimately rejected the trappings of office and emerged with his reputation enhanced. 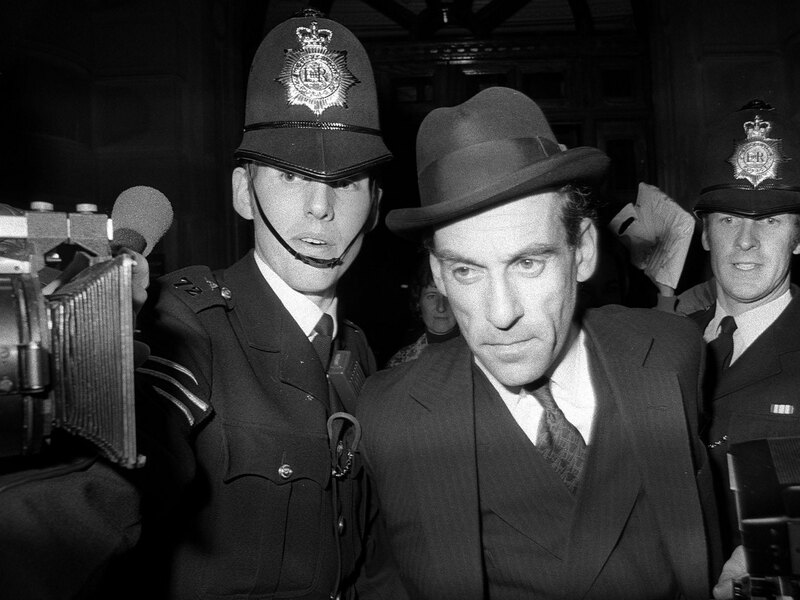 Few politicians would wish to emulate Jeremy Thorpe today, however, as Michael Bloch’s excellent biography reminds us. Indeed one wonders if the real reason future Liberal Democrat leader Jeremy Ashdown changed his name to “Paddy” was to avoid comparisons with the earlier Liberal? Today Thorpe, who died last December, is chiefly remembered for scandal and for being accused and found not guilty in a notorious murder plot. It was one of the biggest political stories of the Seventies and totally destroyed Thorpe’s career. Although only fifty in 1979, he was practically invisible for the last thirty-five years of his life which were also made worse by Parkinson’s disease. The contrast with Thorpe’s earlier days could not be more striking. Thorpe was a dazzling figure who seems to have charmed almost everyone he met . Born in 1929, he joined the Liberals at the time of their great post-war crisis when they came close to extinction around 1950. Thorpe nevertheless determined to one day be Prime Minister, used his boundless energy to secure a seat in parliament in 1959 and obtained the party leadership while still in his thirties in 1967. As leader, he was always popular with the public (seeing the party through blows the 1970 election which coincided with the death of his first wife Caroline in a car accident) and highs (almost getting into government in 1974). Ultimately, it was Thorpe’s compulsive risk-taking and his numerous homosexual liaisons which proved his downfall. Is it 1992 all over again? It is General Election year and the Labour leader remains unpopular. After years of attacks from the Tory press, he was lucky to survive a direct challenge to his leadership before Christmas, when many suggested an older man should replace him as leader. Despite this and some evidence of economic recovery, Labour remain narrowly ahead in the opinion polls. 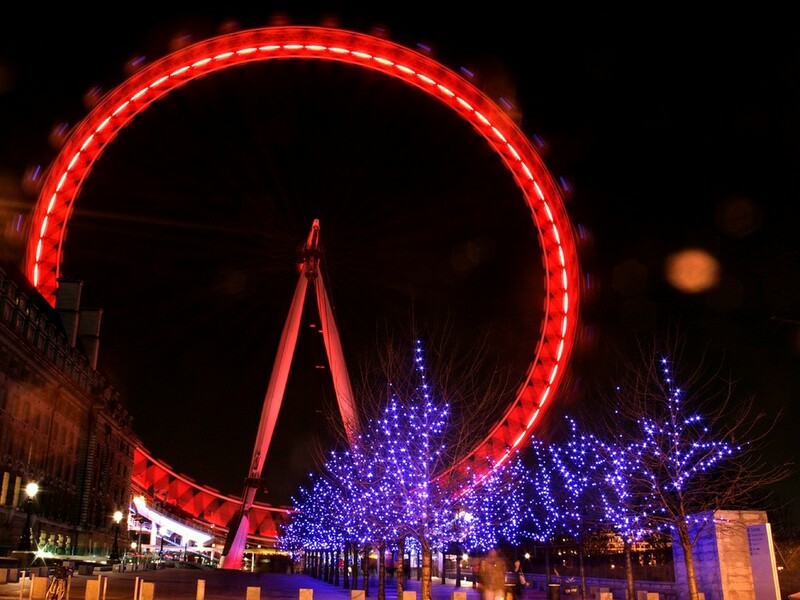 A Labour-led hung parliament is seen by many as the most likely outcome in the General Election. Ed Miliband in 2015? 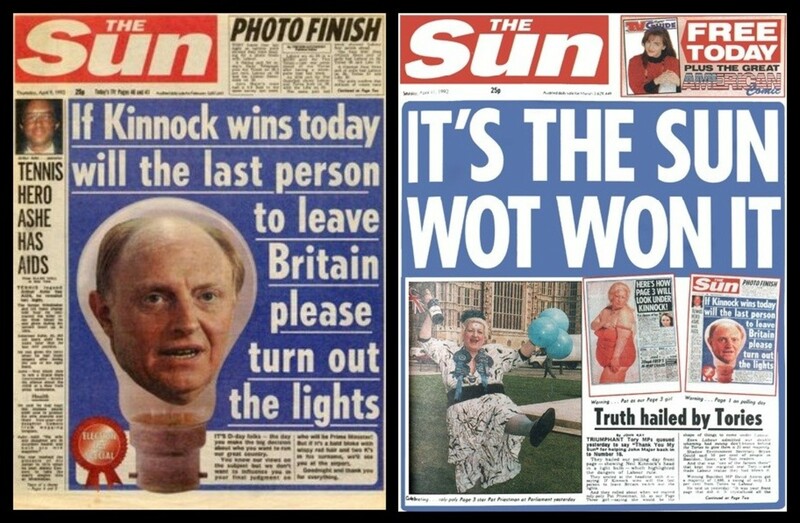 Or Neil Kinnock in 1992? The older John Smith was the potential older alternative leader in 1991, Alan Johnson last year. 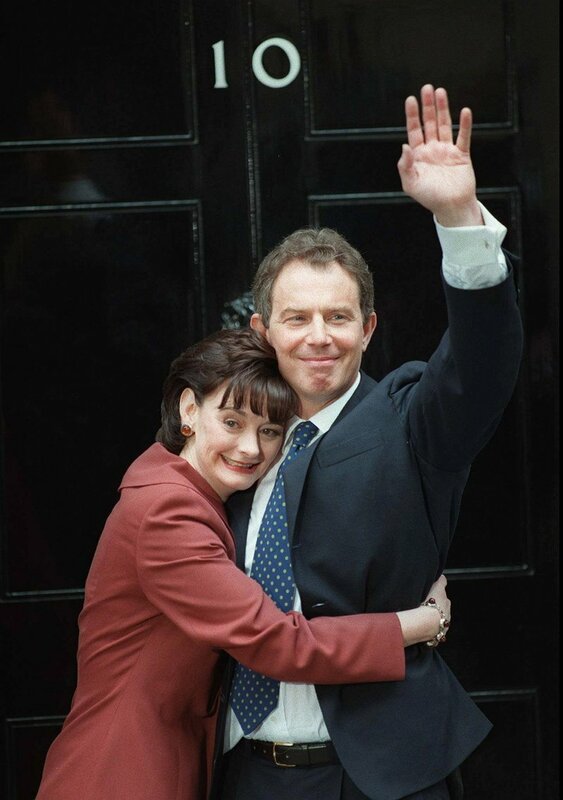 The parallels are uncanny and not encouraging to Labour who, of course, ultimately suffered a shock defeat to John Major’s Tories in April 1992. Labour actually seem less confident now than Kinnock’s party were then. This makes a repeat of complacent gestures like the overblown Sheffield Rally unlikely. Despite this and their quite small lead, the electoral arithmetic favours Labour far more. The Tories need to win by over 10% to win a majority. Labour only need 2%. 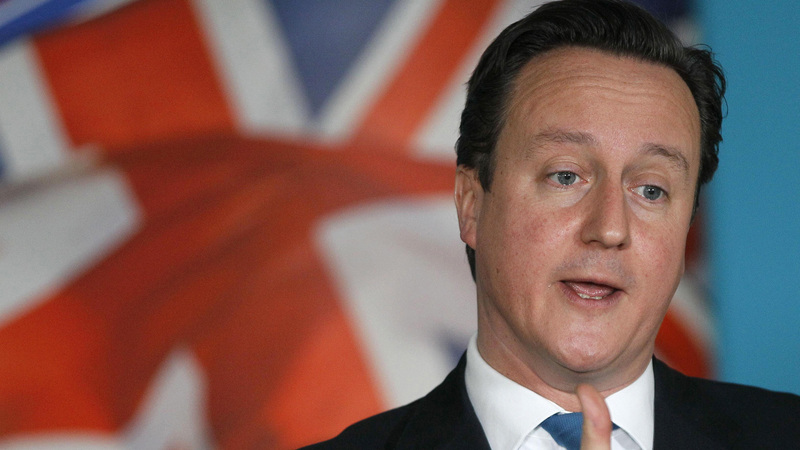 David Cameron is not John Major: It is also true Ed Miliband is not Neil Kinnock. Kinnock was slightly more popular than Miliband but had already suffered defeat in 1987. But Major, though ultimately weak, was untested and novel in 1992. Cameron has been Tory leader for over nine years. Ultimately, the combination of UKIP and Coalition politics, in fact, means Labour’s chances this year are better than they have been in a decade.